How do you balance a goal of creating a site people can trust with your focus on designing your page, and your website content, to reach as many people as possible? While it can feel like online marketing is all about attracting visitors, this mindset can end up limiting your ability to promote your dental practice digitally. 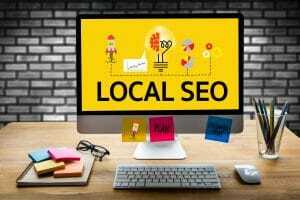 Building site authority can actually help your local SEO, which refers to your visibility specifically in your area. We can provide you with an online marketing approach that establishes trust, and helps build up your reputation online. By doing this, and by making your site’s location clearer to search engine algorithms, we can make it easier for you to connect with potential patients near you! Make Sure Your Content Is Geared Towards Helping People! In the past, website have attempted to “trick” their way into better spots in search engine results by prioritizing links, keywords, and other tactics that seem to focus more on algorithms than people. This can hurt you in several ways – the people who find your website can be put off by this kind of content, and changes to algorithms can actually limit their value. Content that matters to people with questions about their oral health can engage them, which can boost your SEO. This can also help to establish that your website provides the kind of help it is meant to offer. While your website should focus on your practice, and the services you can offer to people, creating community-based content can help you make your location clear, and establish more value for people in that area. When used effectively, these occasional community posts can help boost your visibility, and have an easier time connecting with people who can become patients. We can provide the kind of reputation management that helps you attract positive feedback from people online. When that feedback leads to positive online reviews, you can make yourself more attractive to people who find your links. This support can involve more than just your website activity – to further help you grow your practice, we also offer social media support! MDPM Consulting can help you make your web presence easier to locate in your area, which means the right people can find you, and seek you out! We offer technical support, and we can create effective, attractive website content that can boost your local SEO. If you have questions about online marketing, or if you want to see how you can attract more patients to your dental practice, you can reach us with the contact information listed below. Is your site truly effective at reaching, and attracting, people in your area? Contact us today and let us help you! Email MDPM Consulting at [email protected], or call us at 972-781-8861.